It’s not every day that the most awaited fashion brand makes its foray into Delhi at Select CITYWALK. That’s right, H&M is finally here and ready to make all you fashionistas swoon with their wide range of fashionable clothing. The launch party saw the who’s who of the fashion world getting a taste of H&M’s fall collection over champagne and tete a tetes! Everyone there made the most of the preview and filled their shopping bags right up to the brim! The event made you feel like a star from start to finish. The event saw the likes of Jaqueline Fernandez, Lisa Haydon, Soha Ali Khan, Ranveer Singh and many prominent names from the fashion industry. The highlight of the evening of course, was the ever charismatic, Ranveer Singh who didn’t disappoint us with his infectious energy. He gave the crowd what they wanted with a little jig on the dance floor and that itself made most of us happy for the rest of the night! So did the collection match our expectations? We have to say it exceeded them! The clothes, accessories and footwear were on point with the latest fashions and didn’t pinch the pocket too much either (In short, every shoppers dream come true)! From casual wear to gym wear and party wear, the range of clothing has something for everyone! You can be sure to experience two floors of shopping heaven when you visit H&M! H&M opened its doors to the public on the 2nd of October at 11 am for hundreds of people who had been standing in line for over 24 hours! 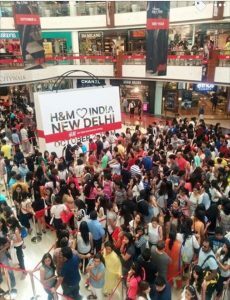 Sleeping on the red carpet all night to catch the first glimpse of the collection showed us Delhi’s eagerness to visit H&M! With the launch of H&M, we can now safely say that India is at par with any other country with its choice and fashion quotient. 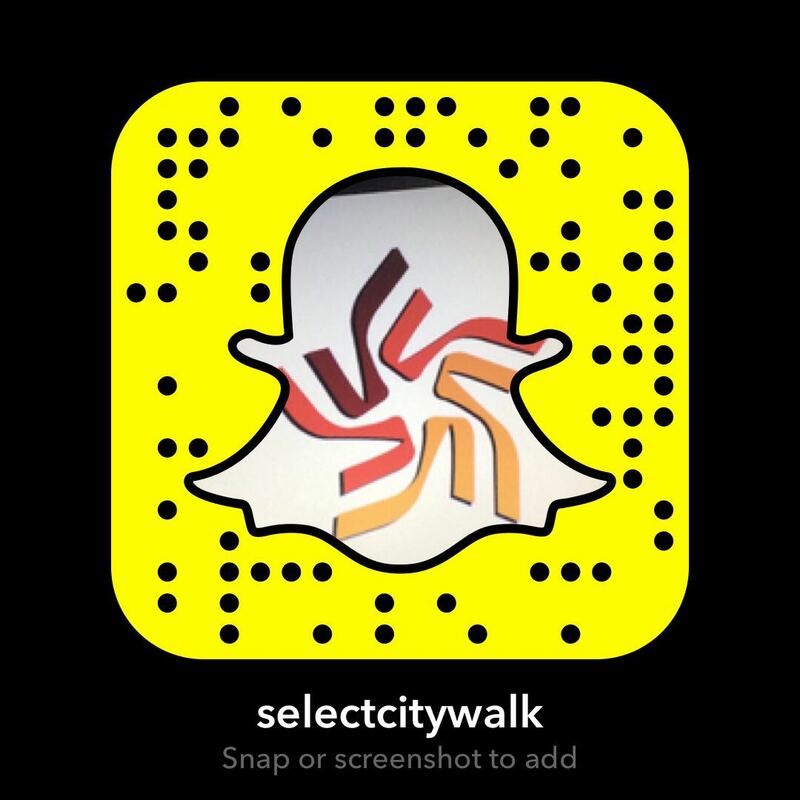 Thanks to H&M and Select CITYWALK, we no longer feel the need to visit any other country to fulfil our shopping requirements! H&M is open for everyone from the 2nd of October, so grab your credit card and get ready to #GoShopping!